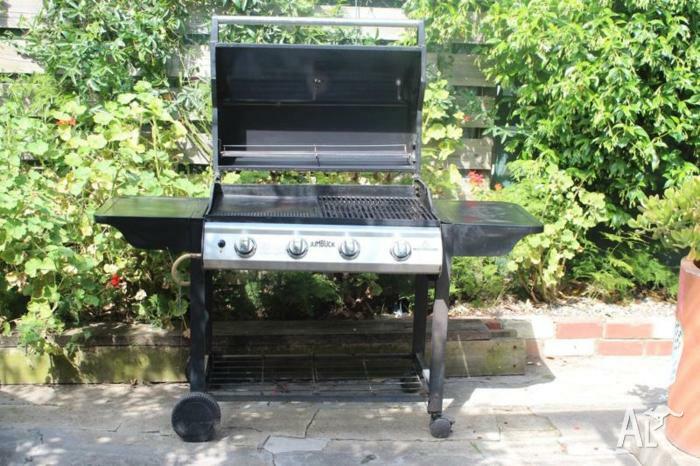 Get ready for summer barbies with this clean 4 burner Jumbuck BBQ with temperature gauge. Works well. Approximately 6 years old. 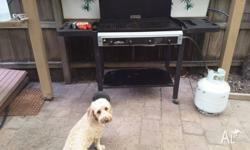 Located in Brunswick East - viewing welcome. 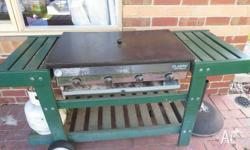 Hooded 4 burner BBQ with cover, gas bottle (as is) and utensils set. Pick up only, cash on collection. 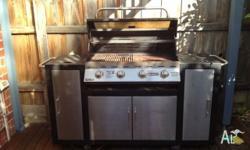 Well loved 4-burner flat top BBQ. Portable. Cover and gas bottle included. Still cooks well! 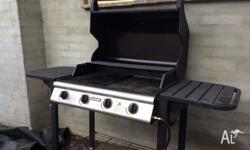 Jumbuck 4grill bbq with hot and side benches. Gas bottle included. 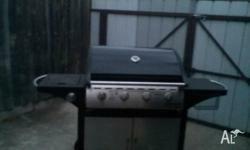 Plus bbq cover. Good working condition.